The Reiki Drum Technique Home Study Course is available to all Reiki Level 2 students (all lineages welcome) and is an ideal way of training in the Reiki Drum Healing & journeying Technique if it is difficult for you to attend the live course. Completing a home study version of this course means you can do it at a pace that suits you and fits in around your lifestyle and commitments. The course is available as downloads that can be accessed on-line through the internet. The course is separated into 10 modules, and it’s up to you how quickly you complete the work. Guidance is given on how many weeks you should allow yourself to complete each module, and feedback sessions with Catherine by e-mail after each module are required as part of the course work. 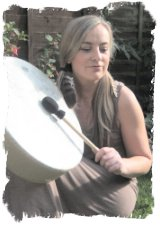 The Reiki Drum Technique Online Course cost is £210 which includes all course material and your Practitioner Certificate on completion (the drum is *not* included). We recommend a 16″ Remo Buffalo Drum or similar as an ideal size to use for your training. If you are needing a drum to be ordered there will be an extra charge of £90 to cover the cost of the drum and shipping/packaging, and you can sort this out with Cathy Birkinhead once you have enrolled on your course. 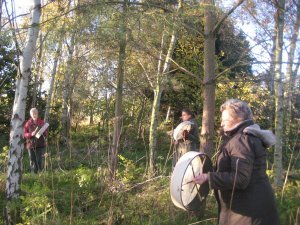 The Reiki Drum Technique distance learning course is the fusion of Reiki and shamanic medicine drumming. Popular in the United States, (where it was formed by Michael Arthur Baird of the Infinite Light Healing Studies Centre, and is known as Reiki Drumming TM) it is still very new to the UK. The course is accompanied by an attractive certificate which will be posted out to you on completion of the course. The fee for the First Degree Home Study Course is £210.00. The payment is non-refundable. Your fees cover tuition for a period of one year from the date of enrolment. After that time, if you have not completed the course, you would need to enrol anew. 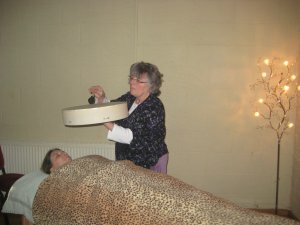 Once you’ve completed your Reiki Drum Technique course your teacher Catherine will be on hand to deal with any questions or queries that you might have. “I wanted to merge both Reiki and Shamanism; I had been thinking about how to merge the different things I do and then saw the Reiki Drum Technique course on the Reiki Evolution website. It ended up being the case studies that I enjoyed the most as I felt I gained most personally here in developing a very personal way of working with the Reiki Drum energies. I feel it has developed me as a therapist. The activities in the modules were very well structured. Also the course isgood value especially as the drum was included in the price I paid.The training manual is well laid out with enough information that didn’t baffle me. But enough for me that I felt I was confident enough to do the exercises. I thought the feedback you gave me was spot on Cathy. It was very insightful and helpful information that you emailed back and though I didn’t respond specifically to everything you sent me, I did take it all on board and I think this really helped me when I came to do the case studies. Price: £210.00. Drum not included. Acknowledgement of your enrolment will come within 48 hrs.